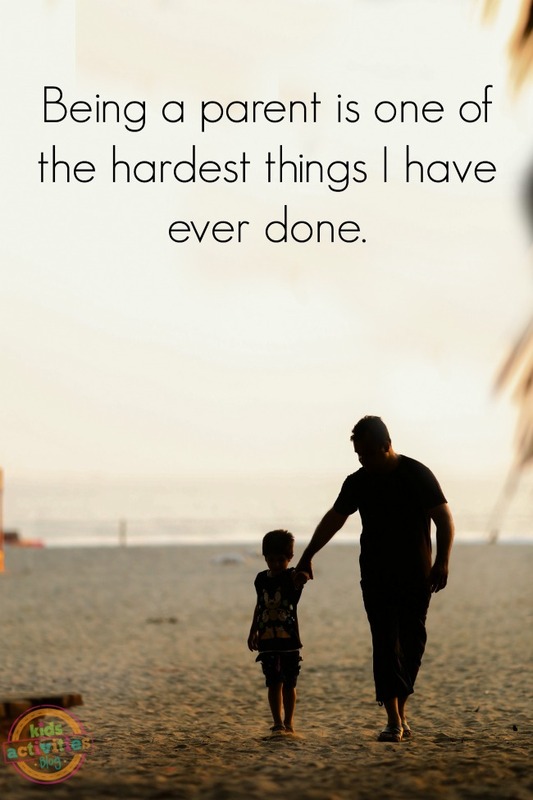 Being a parent is one of the hardest things I have ever done. The complexity of emotions that fill myself on a daily basis are a tangled web. Within an hour, I can go from smiling at the perfect moment as a family to counting down the hours until bedtime… from being patient to losing my patience. Sometimes, I am completely on top of my game and think I have it all together. But more often than not, I am wondering if I am doing anything right. Then there are those moments that I am certain that I am failing as a parent. I become convinced that I am the worst mom in the entire world. The moments when I lose it over the toys being everywhere after stepping on a Lego. The moments when I speak too quickly and harshly. You get the picture. We all have those moments. They are the moments that happen before we can clearly think and the moments we wish we could erase from time. These moments are the ones that convince us we are failing as parents. Wallowing in these moments can send us into a sea of frustration and hurt. Instead of seeing the positive, we see the negative. These are the moments where we need grace. Heaps and loads of it, in fact. My friends, we are all going to fail at times, because we are human. Words will be said, reactions will happen, but the good thing is that we can always start fresh. We can choose to move forward in grace, asking our kids for forgiveness, and letting a mistake be a mistake. Are you ready to choose joy as a parent? Are you ready to let mistakes be mistakes and choose grace? Here is the truth: Are you going to fail as a parent? Yes, we all have our moments. Do those moments define who you are? No, because in those moments we accept grace. Are you a good parent? Yes, you are an amazing parent. Soak in the grace today, pour it on, and pour it on others. Sprinkle it on your kids when they are tired and yourself when you lose it over the toys… again. Being a parent is hard, but it is also the most beautiful gift ever given. Find more parenting posts on our Facebook page.